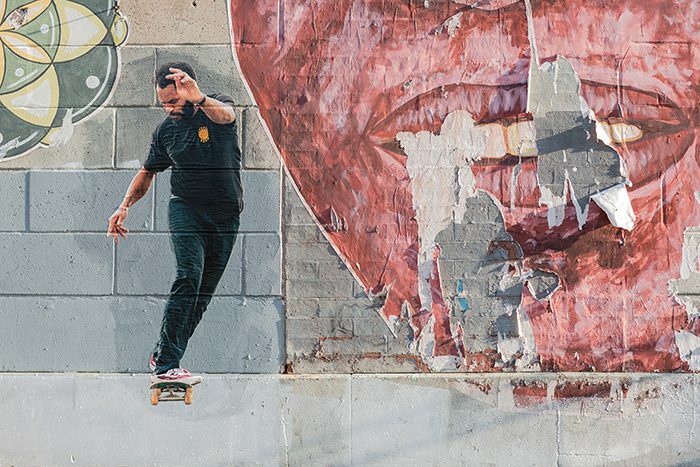 For the past five years, Zered Bassett has been wheat pasting photographs of skaters on walls in New York and Los Angeles under the Paper Skaters monicker. But it wasn’t until this year that he outed himself as the artist behind the work. Dr. Z sat down for a new interview with Juxtapoz in which he reveals why he waited so long to take credit for his artistic pursuit. I think I kept it under the radar for a while because I really cared about it and I wanted to keep it close. I really wanted people to see it as it was without my name attached. I wasn’t really sure where I was going with the idea and wanted it to get to a place where I felt more confident about what I was doing. Now my vision is pretty clear and I want to share it. Head over to Juxtapoz to learn more about Zered’s art.